Contractor v Employee – Is that worker really a contractor? A ‘genuine’ contactor on the other hand should have an Australian Business Number (ABN) which raises other issues such as Goods and Services Tax. The tax and superannuation guarantee laws are structured in a way that, even if a worker has an ABN, the payer (employer) is still obliged to determine whether the worker is in fact a ‘genuine’ contractor or really an employee. Ability to subcontract/delegate: the worker can’t subcontract/delegate the work – they can’t pay someone else to do the work. If you use contract labour in your business, it is worth implementing a checklist approach for use at hiring time which reflects these tests. That way, you can demonstrate to the ATO and others that your business has done its best to comply with a very difficult area of tax law. Services ancillary to supply of goods i.e. less than 50% labour. Does not apply if materials purchased from the Group. 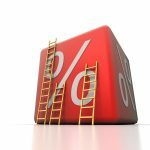 Where the 50% general rule does not apply, and contract is included for payroll tax purposes, a deduction for materials can be applied per ruling PTA018 by applying relevant % for identified industry. Contract for services the business does not normally require (i.e. an accountant contracts a plumber to fix the office toilet). E.g. a ski fields operator offers a maintenance contract by tender repair and maintain various machinery. The contractor is paid a fixed amount to be available for 120 days. Contracts with a contractor for not more than 90 days i.e. no more than a total of 90 days in a year. Commissioner’s discretion – if exemptions 1 to 4 do not apply and the contractor offers services directly to the public, they may be exempt. 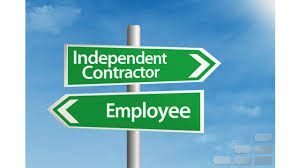 Contractor has two or more people working for them on the contract (note – support staff like receptionists, bookkeepers etc, generally do not count). Contract is for a conveyance of goods e.g. delivery company. Please note the owner driver must not be a common law employee, needs to provide their own vehicle, and the primary purpose of the contract must be to convey goods. Insurance agent – applies to commissions only. Door to door sales solely for domestic purposes – specific criteria apply. The threshold in NSW for payroll tax is $750,000. Once your total wages, superannuation, fringe benefits tax and non-exempted contractors exceed $750,000, your business will be required to pay payroll tax of 5.45% on the amount in excess of the $750,000 threshold. Please note that grouping provisions also apply to ensure that entities with common ownership only receive one threshold. The ATO and the Office of State Revenue are both actively reviewing businesses for compliance with regards to contractors. If you have any concerns after reading this article, please contact our office to discuss your specific circumstances with an accountant. There can be significant savings (i.e. reduced or waived penalties) for voluntarily disclosing non-compliance (as opposed to waiting for a review / audit).